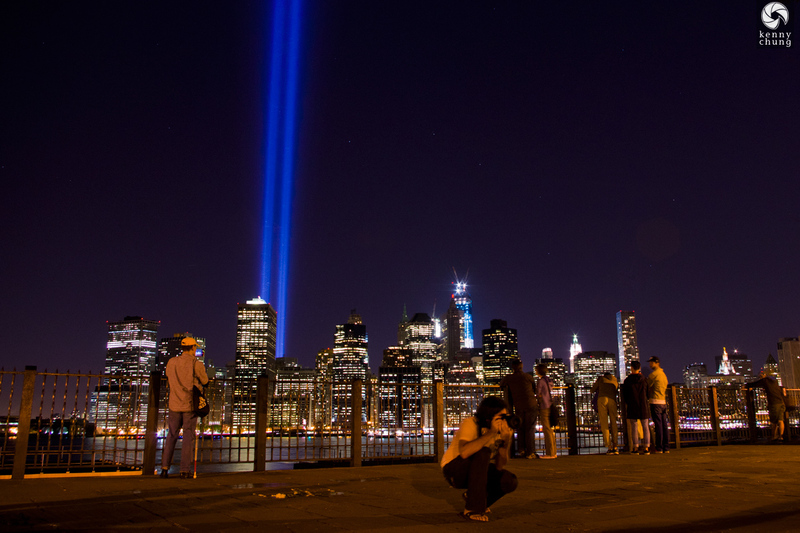 Last year's Tribute in Light was the 10th anniversary of the September 11th terrorist attacks. It was also believed to be the last year that the tribute would be shown. However, shone they did thanks to the Municipal Art Society. 2012 is definitely the last year for it to be sponsored by the MAS, as it is relinquishing control over to the National September 11 Memorial & Museum. 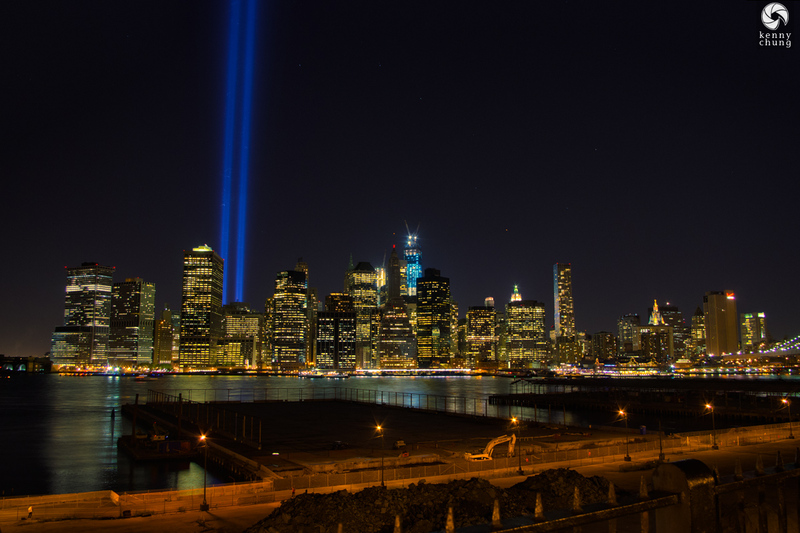 The Tribute in Light towers shone bright over a clear New York night. Like last year, there were a lot of photographers taking advantage of the chance to snap the unique light beams. At one point, the lights shut off. However, they came back on. 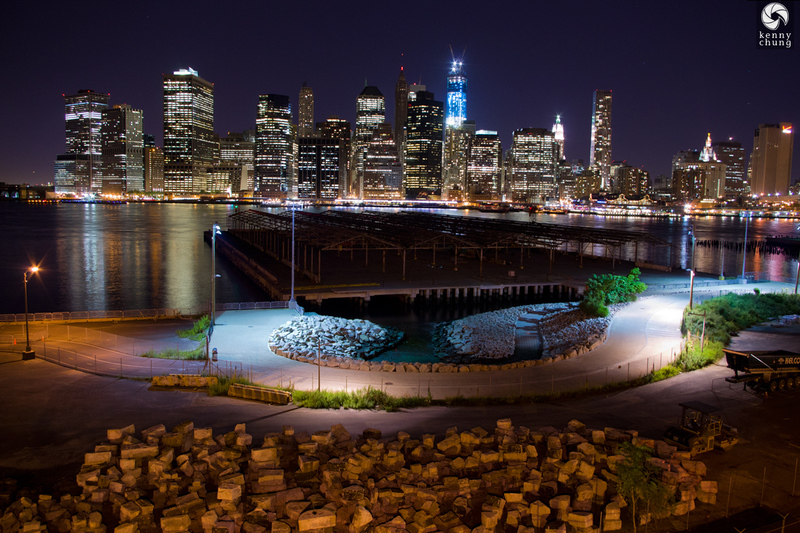 Here's a shot of the in-progress Brooklyn Bridge Park. 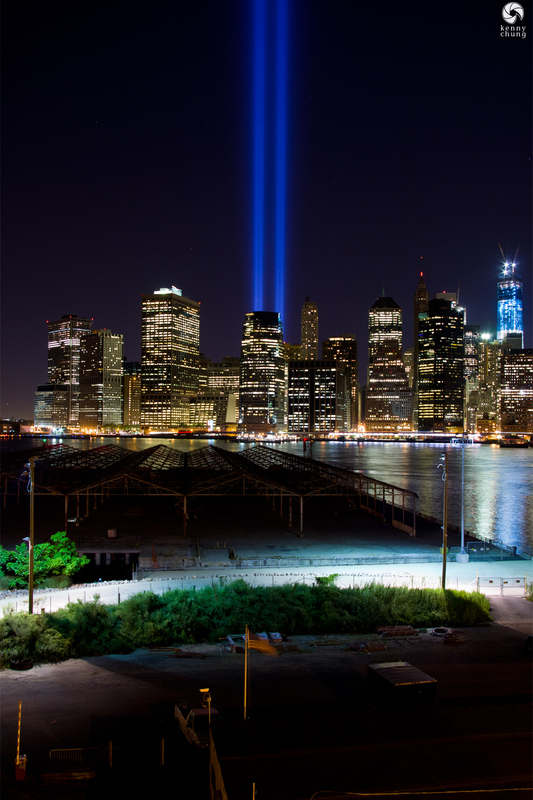 The towers of light emanating from lower Manhattan. 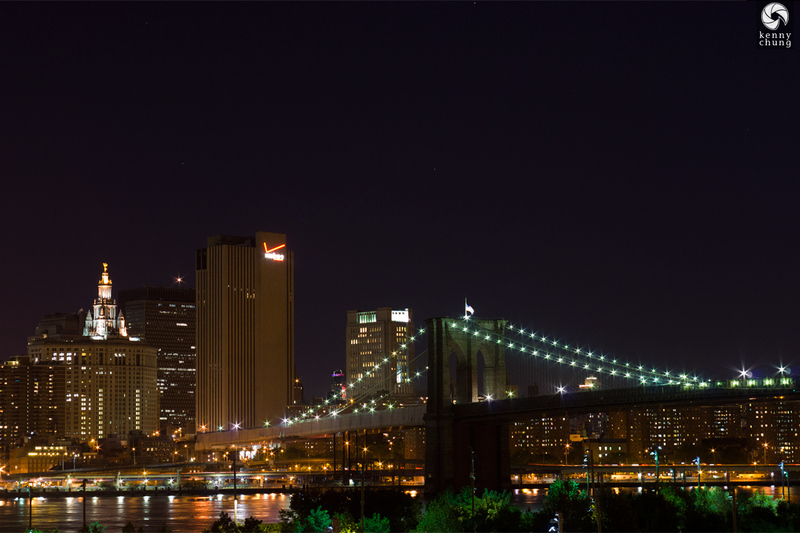 The Brooklyn Bridge proudly displaying the American flag. 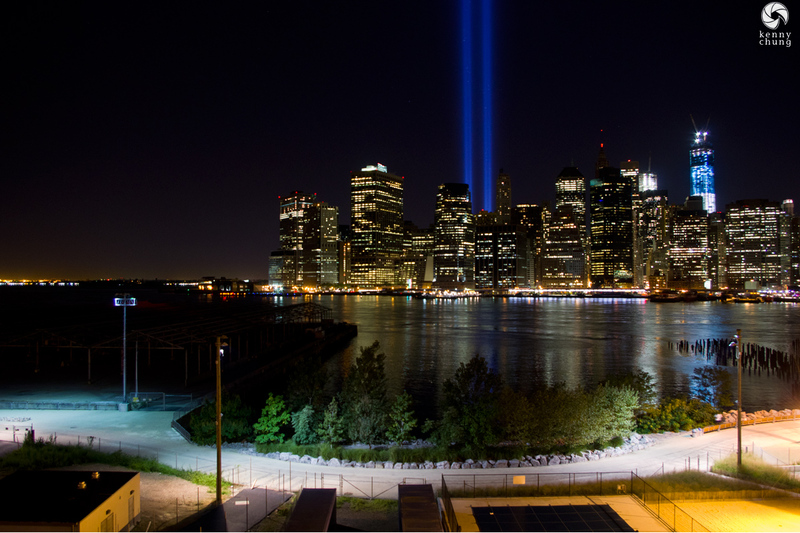 The Tribute in Light with the Freedom Tower still under construction to the right.